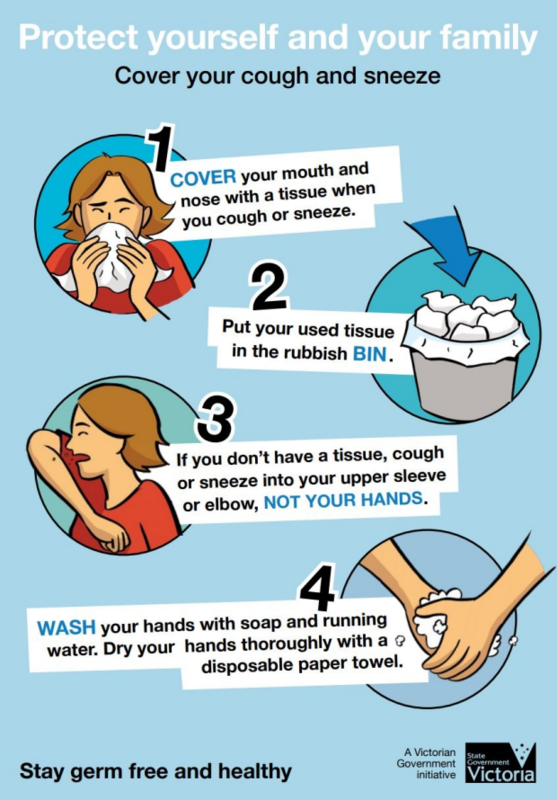 Do you use your hand to cover your nose when you sneeze or your mouth when you cough? If so, you're doing it all wrong. Infection experts say you should use your arm instead. New rules around coughing and sneezing suggest the best way is to use the crook of your arm, or inner elbow, to prevent germs spreading. I didn't get the flu shot. Does that make me an anti-vaxxer? Doing so helps prevent the spread of bacteria via your hands, and lessens the risk of you infecting others with your cold. Professor Lindsay Grayson, Director of Infectious Diseases at Austin Health, says coughing into our hands or a snotty handkerchief means your mitts will carry the virus, spreading the bacteria. "The appropriate etiquette for coughing is to cough into the front of your elbow," Dr Grayson said. "For sneezing, obviously you can do that. But it's a bit gross isn't it? "When you go and touch people … you're likely to spread virus but also spread it onto other objects." Dr Grayson said if you do sneeze onto your hand, washing them up to your wrists is best practice. His advice is echoed by Victoria's health department, which says that directing a sneeze or cough into your elbow is the best thing to do if you haven't got a box of tissues handy. But vaccination is the best thing that we can do to protect ourselves. 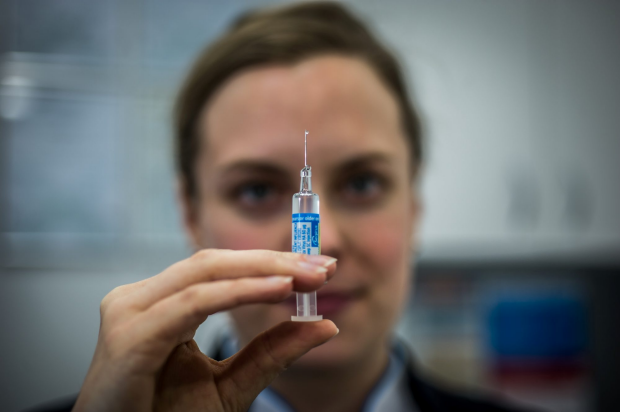 Government-subsidised vaccines are available through the national influenza program to those most at risk, such as the elderly, children under three years, people with chronic health conditions and Aboriginal and Torres Strait Islanders. But you can also get an appointment with your general practitioner, with cost depending on the type of vaccine you receive. Dr Grayson says in the case of the influenza virus, the best thing that you can do to prevent picking it up is to be vaccinated. But that it does depend on the vaccine being the right vaccine for the particular strain. Authorities have urged more people to get flu vaccines in what has become the most widepread flu epidemic for more than 15 years. The second most important thing after that it's just to wash your hands, or other parts of your body that have been exposed to germs. "If you've been coughed on the face, you can wash it with soap and water and that will immediately wash away any virus there," Dr Grayson said. "But it's much harder if someone is coughing on you and you breathe in their breath because then you're inhaling the virus." Kanta Subbarao, who heads an influenza research centre at the Doherty institute for infection and immunity, said research showed wearing surgical masks could help "prevent a lot of influenza transmission", especially in a hospital setting. In a number of Asian countries, particularly Japan, it is considered polite to wear surgical masks if you have a cold to stop you spreading it to others. "If the person that is infected is wearing the face mask then they are less likely to cough and sneeze on other people, or their coughs and sneezes don't travel as far," Professor Subbarao said. Professor Subbarao said face masks can also stop people from touching their faces and spreading mucus. And when it comes to washing our hands, humble soap and water works just as effectively as alcohol-based hand rubs, a study conducted Dr Grayson found. 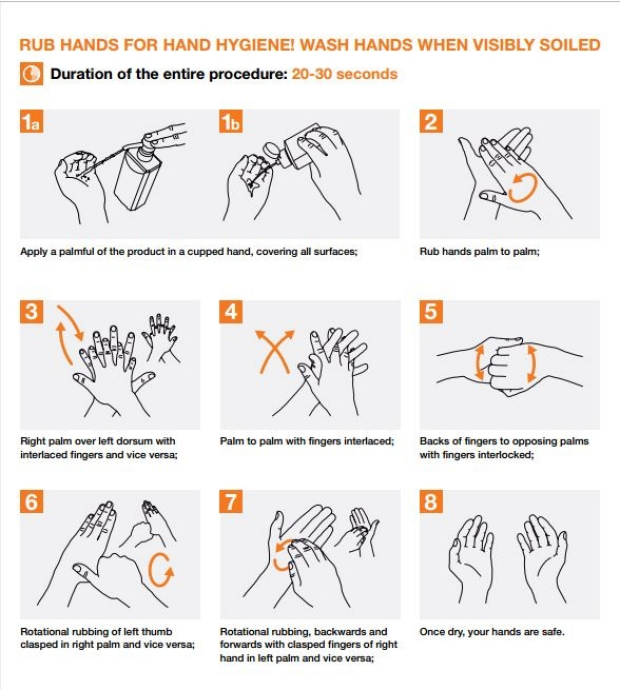 The World Health Organisation has also published its guidelines on the best way to wash your hands to prevent highly-infectious germs from spreading.